In the late 2010s, the Government of The Bahamas enacted The Arbitration Act, 2009 as “an act to restate and improve the law relating to arbitration pursuant to an arbitration agreement; to make other provision relating to arbitration and arbitration awards; and for other matters related thereto”. The Arbitration Act, 2009 along with the Arbitration (Foreign Arbitral Awards) Act, 2009 which incorporated the 1958 Convention on the Recognition and Enforcement of Arbitral Awards (the New York Convention), replaced the 19th century arbitration legislation that The Bahamas inherited from England and was a major step toward an improved legislative framework to support international commercial arbitration in The Bahamas. Essentially, arbitration is a method of alternative dispute resolution. Some of its benefits include – (i) greater privacy and confidentiality, (ii) speedier process, (iii) neutrality, (iv) greater party autonomy, and (v) finality of decisions. These benefits offer the parties more than would the typical court proceedings. Accordingly, due to its growth in popularity over the last several decades, arbitration has become the preferred method of dispute resolution for multinational enterprises and the like. Centres for international commercial arbitration like Singapore, Hong Kong and London continue to witness the proliferation of international commercial arbitration. This is due in large part to the incorporation of the United Nations Commission on International Trade (UNCITRAL) Model Law on International Commercial Arbitration (1985) with amendments as adopted in 2006 and the UNCITRAL Arbitration Rules (as revised in 2010) (the UNCITRAL Model Law) into its domestic legislation. The UNCITRAL Model Law is important as it sets the standard for the harmonisation of international commercial arbitration legislation across both common law and civil law jurisdictions. It is a well established fact that for arbitration to exist and succeed, there must be a regulatory framework which controls the legal status and effectiveness of arbitration in a national and international legal environment. Moreover, as recently as March 2018, the Minister stated that the forthcoming International Commercial Arbitration Bill 2018, will facilitate international commercial arbitration in The Bahamas and will incorporate the UNCITRAL Model Law. Through the incorporation of the UNCITRAL Model Law, The Bahamas will position itself to become a preferred centre for international commercial arbitration and open itself to opportunities to generate new business and facilitate additional foreign investment. Independent of the upcoming incorporation of the UNCITRAL Model Law, The Bahamas already has the beginnings of a prime jurisdiction for international commercial arbitration as it has already incorporated the New York Convention, often described as ‘the cornerstone of the international arbitration system’, which allows for the cross-border enforcement of arbitral awards. In addition to its legislative framework, The Bahamas also has a sophisticated judiciary, high quality legal community, a strong financial services reputation and the commitment of the Bahamian government to advance The Bahamas as a centre for international commercial arbitration. With its strategic location as the crossroads to the Americas, The Bahamas is well-positioned to become a favoured jurisdiction for international commercial arbitration. The Bahamas offers a developed financial services sector in addition to a large ship registry that could lead to the development of maritime arbitration. Moreover, due to existing supporting legislation like the Trustee (Amendment) Act, 2011, other specialty areas of arbitration may be developed. For The Bahamas, it is the opportunity of a lifetime. 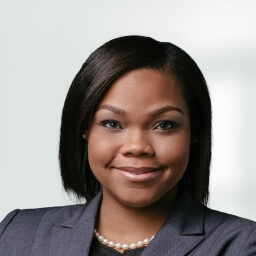 Theominique Nottage is a member of the Firm’s Litigation practice group. Her practice areas include Trusts, Estates and Commercial litigation.